Have you been impacted by injury or disease? These conditions frequently teach us lessons in humility, the nature of change, detachment, and patience. All dimensions of yoga practice helped me navigate my condition: frozen shoulder. The physical challenges and insights from this dis-ease were ultimately a gift. Perhaps your current challenges might be repurposed for greater insight. With consistent multi-dimensional yoga practice, we may suffer a bit less, and grow in the process. You can see the limited range of motion in my right shoulder. Notice how it is hiking up toward my ear. I had to use my left hand to place the right hand on my lap. Early stages. While guiding yoga at our local college a few years ago, my right shoulder became increasingly painful as the semester progressed. In class I recruited students to demo postures that were not available to me without stinging sensation or outright pain. I was “shoulding” on myself. Should is one of the MOANS, words to minimize and delete from your vocabulary described here. “You shouldn’t be teaching if you can’t demo this pose”. 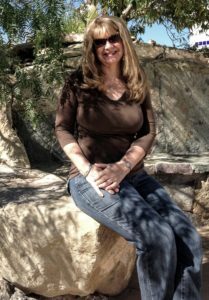 I experienced the physical pain of frozen shoulder AND created add-on psychological suffering through my self-talk. My ego was involved in poses I could no longer express fully. By winter break I was experiencing so much burning in my shoulder I could not sleep, and one night my pain brought me to tears. Eventually I received the diagnosis of frozen shoulder, sometimes known as adhesive capsulitis. Yoga practice helped me recover physically. And I experienced surprising mental and spiritual growth from living with this condition. The bigger lesson from any physical challenge is connected to the original purpose of yoga: self-realization. Self-knowledge can come from understanding and managing pain, working with the ego, and accepting impermanence. We are not our bodies or the postures. Our essence, our true Self, has very little to do with our physical self. Freezing: This stage progresses gradually over time. It was the most painful for me. I ignored the soreness over the semester. I taught several classes in different locations, soldiering on. Frankly, freezing is the opposite of the sensation of the burning, stinging pain in my right shoulder joint. Frozen: The shoulder joint “freezes”. Range of motion (ROM) is restricted although pain recedes quite a bit. Thawing: Over many months, ROM improves. Could you be susceptible to frozen shoulder? Frozen shoulder occurs in 2-3% of the general population. It most commonly affects people between the ages of 40 and 60. My friend Mieko told me that in Japan, a term “goju-kata” (50-year-old-shoulder) is a common parlance for frozen shoulder. Yep. It occurs in women more often than men. Frozen shoulder can be described as either primary in which the cause is unknown, or secondary, when it can be attributed to another cause. Secondary frozen shoulder has been associated variously with diabetes, trauma, or Parkinson’s disease. Routines such as habitually carrying my shoulder bag on the same side, shlepping my very large satchel of heavy yoga props, and computer work probably did not help the right side of my body. These body patterns put tension on my right shoulder, added stress, and I believe probably hastened the onset of my condition. What helps heal Frozen Shoulder? Discouragingly, I encountered the same evidence from every reliable source, including my orthopedist. Basically, even if I did NOTHING, my condition would likely heal within 1-2 YEARS. Ignorable advice for someone like me; a proponent of self-care and an experienced yoga teacher. I consulted a plethora of health professionals. And, I continued to teach yoga. The move-it-or-lose-mantra was quite relevant. Motion is your lotion. In my privilege of guiding yoga classes with the modifications I required, I was healing myself. an acupuncturist-temporary yet welcome pain relief with needles and cupping. three physical therapists-targeted manual therapy, some good home exercises, and great dry needling pain relief. 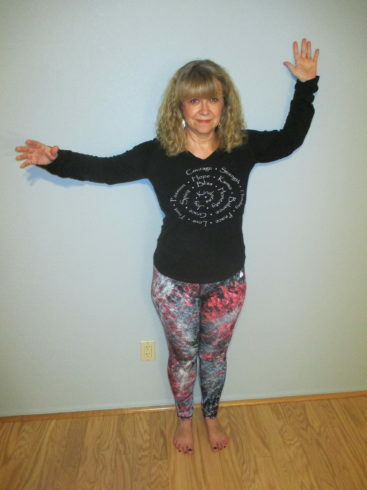 one experienced yoga teacher-wonderful yoga based release and relief moves. Ultimately I built my frozen shoulder therapy into my yoga practice. 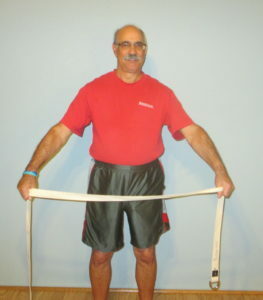 This is a popular link to PT based exercises; some are similar to yoga moves as you will see below. 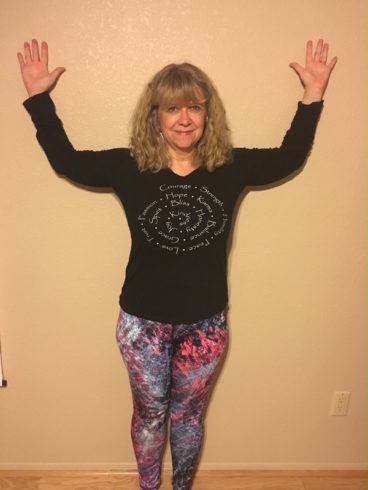 By helping to mend as part of my yoga practice, and sprinkling the practices throughout my day at least 2-3 times, I believe my healing timeline was substantially improved. *disclaimer: seek the advice and diagnosis of your health care professional to ensure the following applies to you. In general, keep moving both arms to your end range of movement once you are in the frozen and thawing stages. More than ever, motion is your lotion (see discussion here) applies. Incrementally over time, you will experience increased range. Note that the movement comes from the hips and legs, and the shoulder and arm go along for the ride. Shoulder flossing. 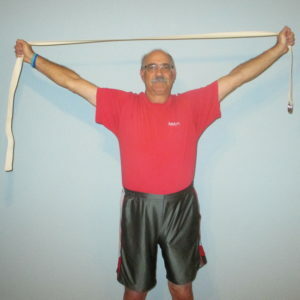 Use your yoga strap instead of the “pole ” ( described in the link exercise link). This one is from my Yoga Tune Up training. 1. Hold the strap shoulder distance apart or wider. Stay in mountain pose the entire time. 2. Inhale the strap up. Do not overly pull or grip the strap. 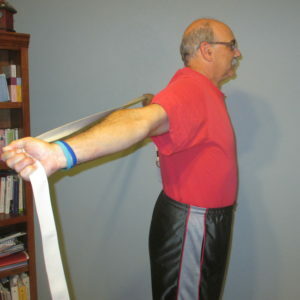 You may not have the mobility in your shoulder joints shown here. Only go as far as your ROM will allow. 3. If you are able to, exhale the strap behind. WITHOUT losing mountain pose. 4. HOW NOT TO SHOULDER FLOSS. Norm extending his spine and contorting in order to make the pose work. Stay for 5 breaths in child’s pose. Feel gentle opening along the side of the body, even into the armpits. Frozen shoulder child’s pose. 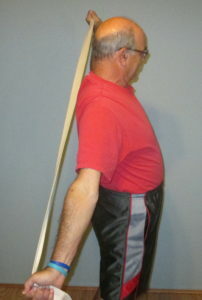 This is an example of ROM your arm position may be at if your shoulder is still thawing. 3.Extended Child’s Pose(above). Stretch arms over head and breathe for 5 breaths. Pay particular attention to breathing into the armpits and sides of the waist. This is an example of my ROM when the shoulder was frozen. 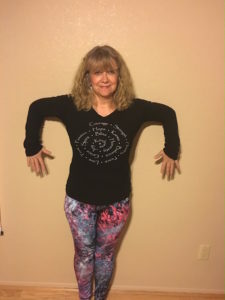 Incrementally over time both arms came to “cactus pose” or external rotation, involving 2 muscles of the rotator cuff group. Current range of motion in external rotation. Practice this internal rotation supine (on your back) on the floor and align your elbows with your shoulders. 4. 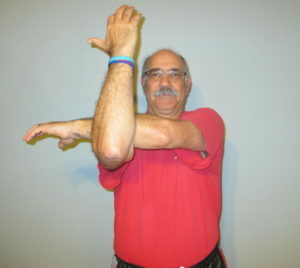 ZIG ZAG or Cactus arm variations. (right) This move was my personal progress test. I like to call it the zig/zag. It comes originally from Structural Yoga Therapy (Stiles, 2001), a volume I’ve referenced for over a decade. My yoga therapist Maria gave me great dynamic exercises within this pose. 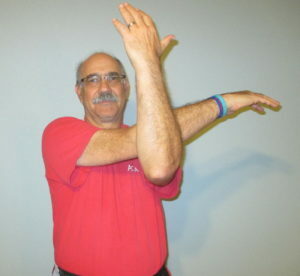 5.Half Modified Eagle Variation.Make a “hook” at about a 90 degree angle with your elbow. Place the opposite arm on the hook. Breathe into the stretch particularly at the scapula and side body and play with movement. 6. 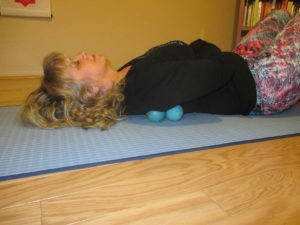 Shoulder Therapy with Yoga Tune-Up (YTU) Balls. In this pose, I am resting my scapula on the YTU balls. Awesome double duty of massage sensation working with gravity to open the tissues. My teacher Chris helped me with this position on a yoga block and I substituted YTU balls. 7. Breathe consciously and fully to change your relationship to your pain. If safe for you, you might find relief from over-the-counter pain relievers for a short period particularly during the freezing stage. 1. 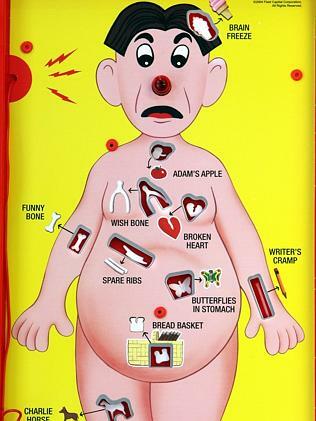 You are not made of disconnected parts like a game of Operation. We are more than a set of disconnected body parts. Our body is a web of connections. Our physical pain can impact our mental disposition. As we align our our feet we can impact our knees which can impact our hips our spine…you get this. In my case, there is still residual tightness along the connective tissue of my latissimus dorsi and anterior deltoids. My shoulder was frozen. AND my side body and upper arm muscles were effected. We are a wonderful integrated system. 2. You can continue to practice yoga even if you can’t “perform” certain poses. Can you breathe consciously? Can you move your joints? Can you still meditate? Can you modify poses knowing that the outer form of the pose has little to do with the personal experience of yoga? 3. Professionally, my condition deepened my empathy for physical limitations since now it was my turn. 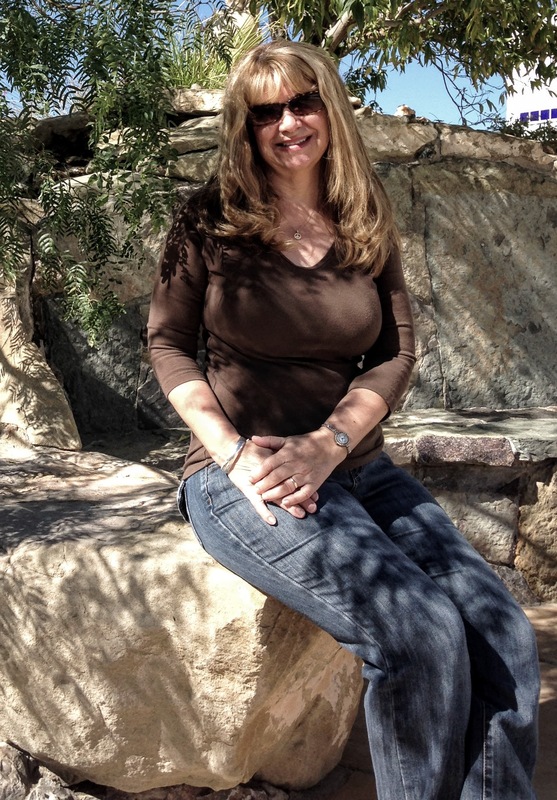 I was drawn to my 20+ career as a counselor because of my love and compassion for people. Suffering from frozen shoulder (and chronic sacroiliac joint challenges; another post for another day) created understanding of physical suffering and the importance of adaptation like nothing else could. This is the lesson of change and impermanence we must integrate. 4. The bigger lesson from any physical challenge is connected to the original purpose of yoga: self-realization. Self-knowledge can come from understanding and managing pain, working with the ego, and accepting impermanence. We are not our bodies or the postures. Our essence, our true Self, has very little to do with our outsides. You are warmly invited to deepen and nurture your practice in classes. Check out our current CLASS SCHEDULE. Very informative. Thanks for the postures that support healing . During physical sessions last year thr following sign has been my daily inspiration. You can buy special massage balls at health stores, but tennis balls can work well, too. I liked just laying on on the floor on a tennis ball on all of the trigger points and tight areas around my shoulder.